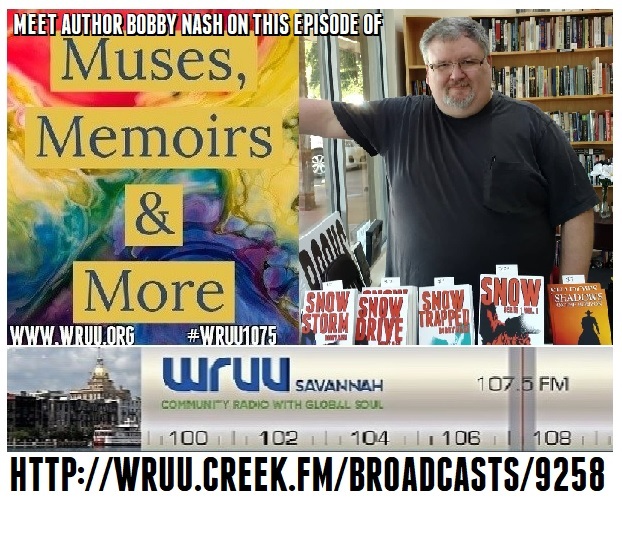 MUSES, MEMOIRS, AND MORE PODCAST INTERVIEW WITH AUTHOR BOBBY NASH NOW AVAILABLE! For those who missed author Bobby Nash's live interview on Savannah's WRUU 107.5 FM show, Muses, Memoirs, and More with Adam Messer, the podcast is now available for your listening pleasure at http://wruu.creek.fm/broadcasts/9258. 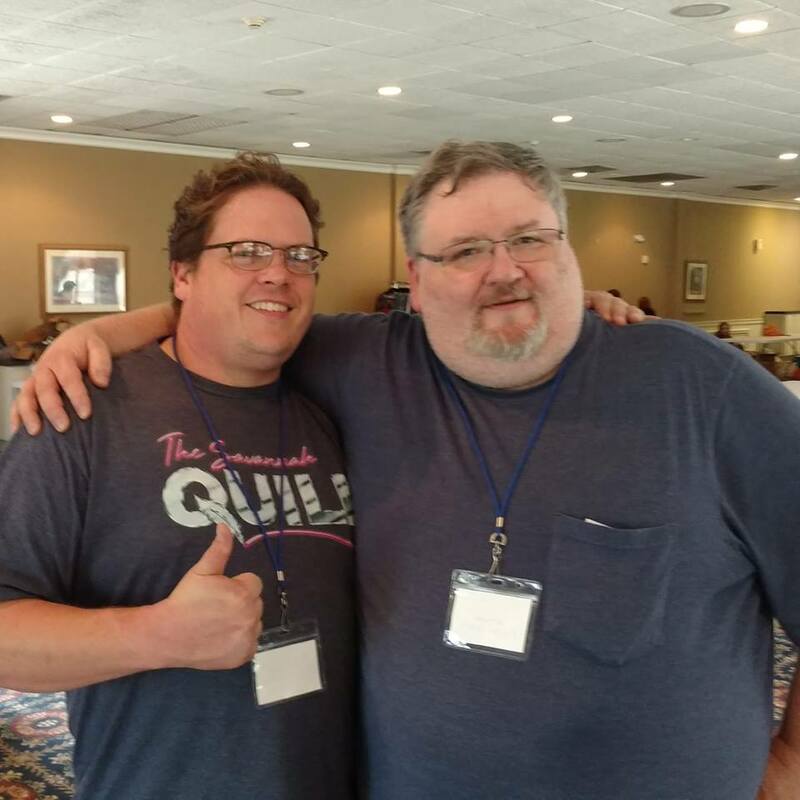 Adam and Bobby discuss writing, creating comics, conventions, and talk about the author's two new upcoming releases, The Avenger Double Feature from Moonstone Books on October 31st and Nightveil: Crisis at the Crossroads of Infinity from Pro Se Productions in November. You can listen to the full podcast episode HERE. THE WRAP UP: MUSES, MEMOIRS, AND MORE RADIO INTERVIEW! 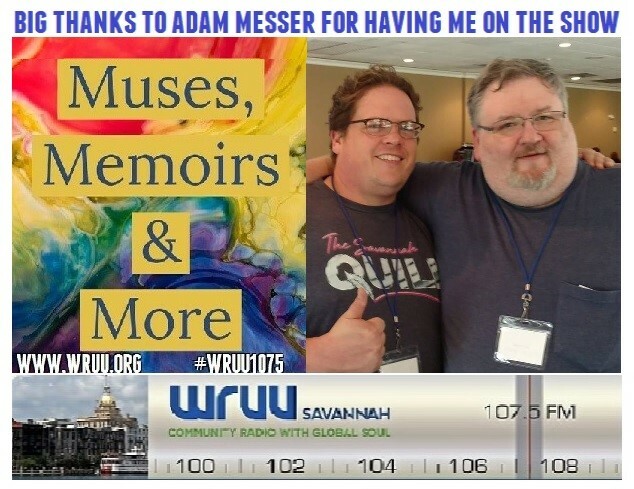 I had a great time chatting with Muses, Memoirs, and More host Adam Messer on WRUU 107.5 FM in Savannah, GA today. Thanks to all who listened live on the radio and on www.wruu.org. The episode will be posted to their site as a podcast soon. I'll share the direct link as soon as I have it. Thanks again for having me on the show, Adam. 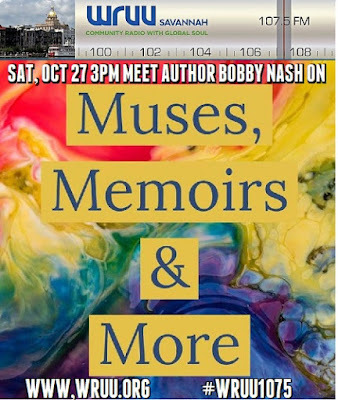 LISTEN LIVE WHEN BOBBY NASH GUESTS ON THE MUSE, MEMOIRS, AND MORE RADIO SHOW ON SATURDAY, OCTOBER 27TH! The Pulp Factory's own author Bobby Nash will be a guest on the Muse, Memoirs, and More radio program this Saturday beginning at 3 pm EST on 107.5FM in Savannah, GA. You can also listen live on www.wruu.org. Please join host Adam Messer and Bobby Nash for some fun book talk. Hey everyone, we are back this Saturday! 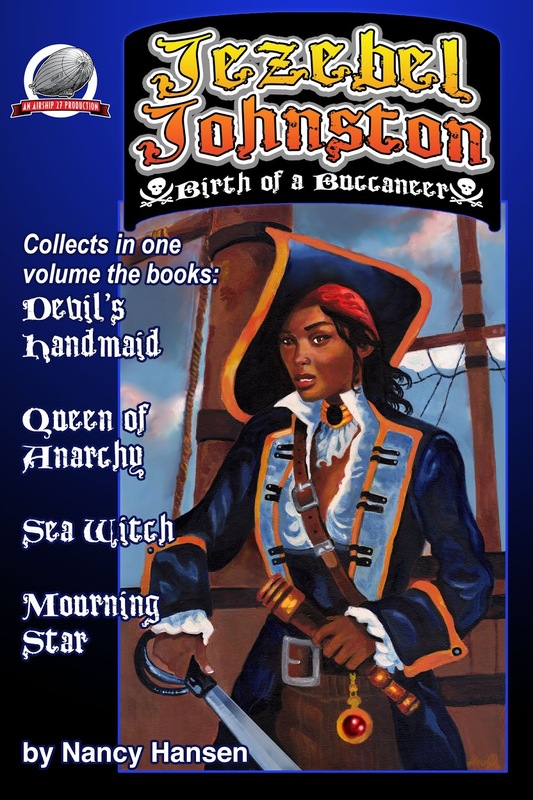 JEZEBEL JOHNSTON - Birth of a Buccaneer. 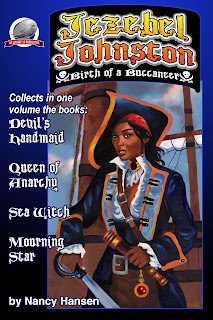 Several years ago, popular New Pulp writer Nancy Hansen created a pirate series based on the life and exploits of a Caribbean Island girl named Jezebel Johnston; the daughter of a bordello madam and a British freebooter. At the age of 14, longing for a life of seafaring adventure, Jezebel disguises herself as a boy and signs on to a pirate ship. AVAILABLE FROM AMAZON IN PAPERBACK AND ON KINDLE. 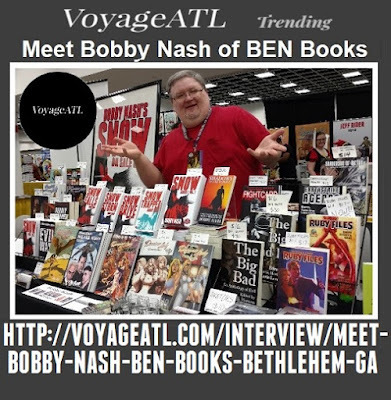 VoyageATL Spotlights Atlanta Author Bobby Nash! Big thanks to VoyageATL for their spotlight interview with The Pulp Factory's own award-winning author Bobby Nash. 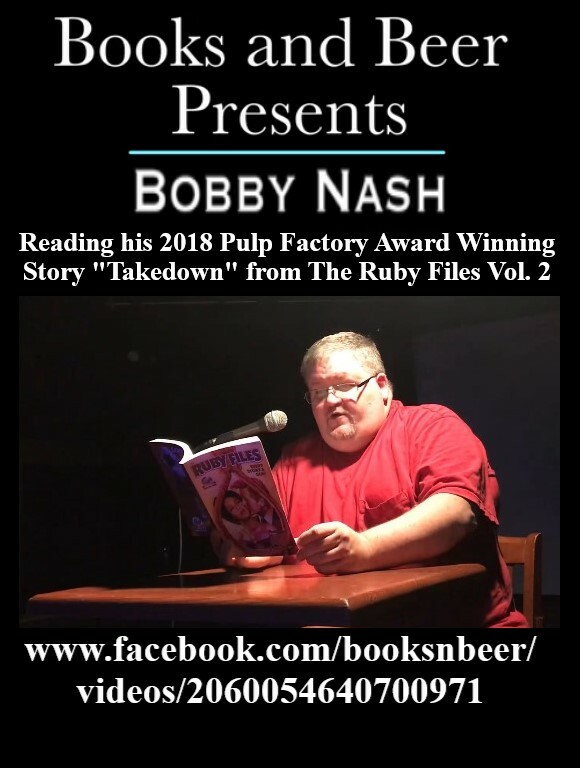 They discuss Bobby's writing journey, the ups and downs, pitfalls and pratfalls, successes and failures, and what it's like to be a writer in Atlanta. It is no secret that Airship 27 Production’s best selling books for the past six years have been their volumes in the “Sherlock Holmes – Consulting Detective” series. Now twelve volumes rich, they continue to sell and are constantly on Amazon’s top mystery anthology list year after year. To their thousands of loyal readers, reason for this continued success is no secret. All Airship 27 Production’s “Consulting Detective” books are done strictly in the tradition of Holmes & Watson’s creator, Sir Arthur Conan Doyle. 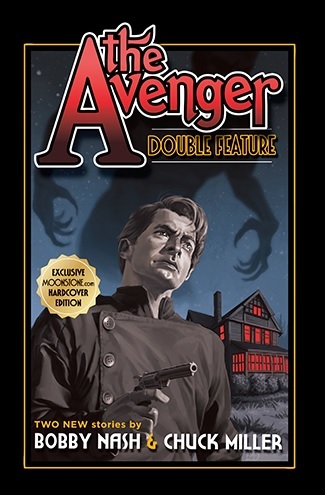 Now this leading New Pulp publisher is hoping this formula will work a second time as they prepare to launch a brand new anthology based once again on a Conan Doyle character; Prof. George Edward Challenger. “After Holmes, Challenger is clearly Doyle’s most popular creation,” says Airship 27 Production’s Managing Editor Ron Fortier. “Which is why when our pal, and fellow writer, Gordon Dymowski approached us about doing a series featuring George Challenger, we were eager to hear what he had in mind.” Dymowski, a popular Chicago writer and blogger, is also known as an enthusiastic Doctor Who fan and can be found at most Who related events in the Windy City. “Gordon not only suggested the concept,” continued Fortier, “but actually went the extra step by writing up a Prof. Challenger bible.” A bible is the name given to character data documents with which editors use to introduce perspective writers to a series. “Our hope is to elicit interest from established New Pulp writers in our community. Anyone interested in submitting should contact me and I’ll happily send them a copy of the bible.” Fortier ends with stating this is not a project for new amateur writers and Airship 27 will only look at those inquiries send in from known, published writers. Will lightning strike twice? Time will tell, while Fortier and Dymowski certainly have their fingers crossed. HAVE YOU EXPERIENCED IT YET? Have you experienced the SUICIDE BOMB yet? 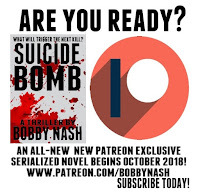 It's not too late to get in on the ground floor of this thrilling serialized novel from author Bobby Nash and BEN Books. Subscriptions available for as low as $1 a month. 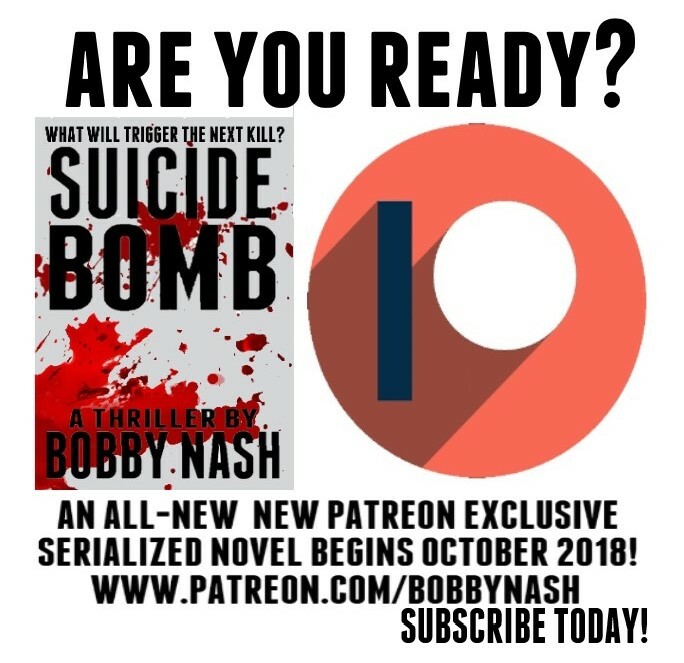 Check it out now at www.patreon.com/bobbynash. Subscribe today! Learn more about SUICIDE BOMB here. I hope you will check it out. 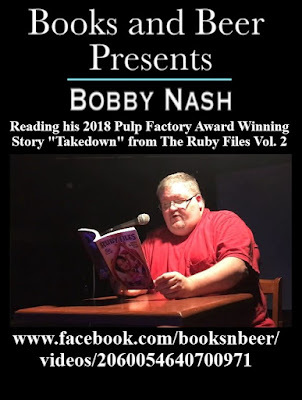 BOBBY NASH READS FROM THE RUBY FILES VOL. 2 AT BOOKS AND BEERS CHARLOTTE, NC EVENT! Learn more about The Ruby Files HERE. 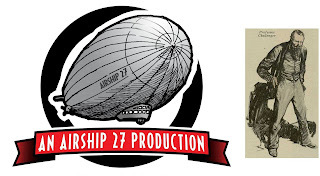 Published by Airship 27 Productions.